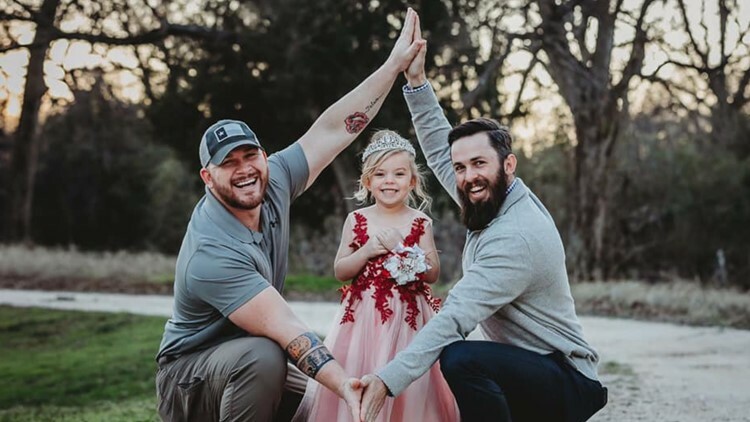 A biological father and a soon-to-be-step-dad share a unique bond as they raise a child together. 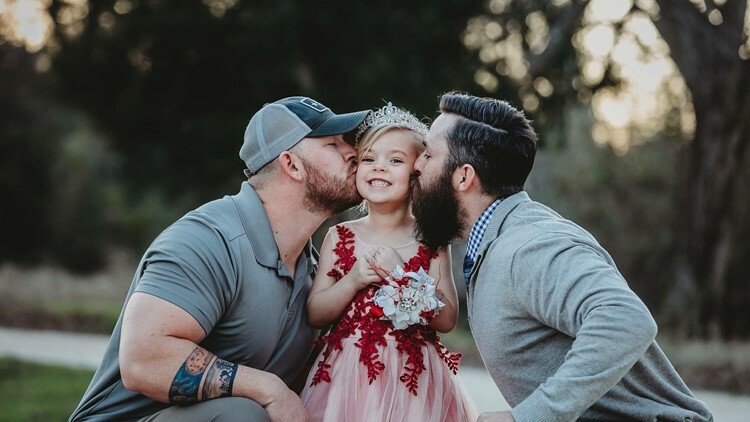 HUBBARD, Texas — If there is one thing about 5-year-old Willow Mengon that you should know, it is that she loves her two dads. "They are so nice and they love me, so that's why I love them," Willow Mengon said. David Mengon is Willow Mengon's biological father. He and her mom, Sarah Mengon, split some time ago. Dylan Lenox is Sarah Mengon's Fiancé. The two men managed to develop a friendship, while creating a healthy, blended family. 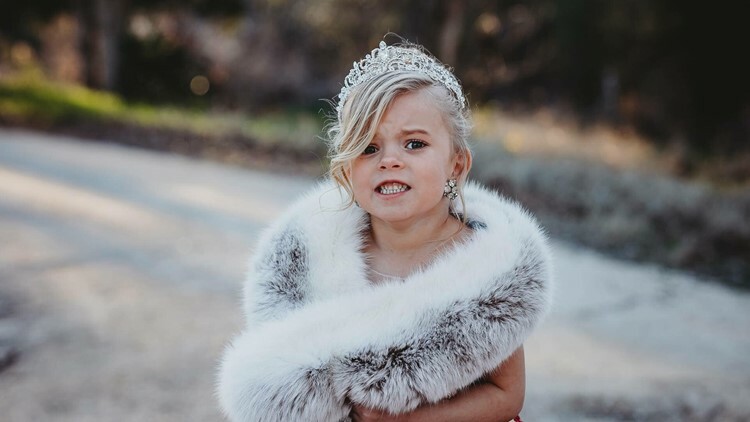 Over the weekend, Sarah Mengon took photos of Willow Mengon with her two dads before the Daddy-Daughter Dance. The photos have gone viral, with more than 100,000 shares and 180,000 likes on Facebook. David Mengon said that he and Lenox have a lot in common. The most important is taking care of their daughter . "She's going to gauge the men that she dates off of our behavior,” said David Mengon. “So, if we treat her with respect and treat her mom with respect in the process, you know it’s one thing to tell your kids something but to show them every day is something different. We want a strong young woman who knows how to be treated and that’s going to be based off the example we set." Lenox said the blended family experience has been rewarding. “We have molded ourselves into one unique family, only for the sake of our children to know the power of love. Not only did I gain a daughter, I gained a brother and a best friend,” Lenox said on his Facebook page. Lenox credited Sarah Mengon for bringing the family together. “Thank you, Sarah, for letting this all happen!” Lenox said. Lenox said every member of the blended family loves one another, despite what societal expectations may suggest. “He is not an outsider, he is and will always be a part of my life for the simple fact that we share the same daughter! Of course, not a single moment would be like this without Sarah (mommy) and her kind and generous heart! Willow Grace you are loved by so many people in this world and your Daddies love you!” said Lenox.